Learn more about Deviny Mo’s experience transitioning into a professional athlete and her life story coming from an immigrant family in this EXCLUSIVE INTERVIEW. Where did you discover volleyball? Deviny: I grew up in Bellevue, the east side of Seattle. Growing up, I mostly played indoor at Newport High School. I then attended the University of Washington where I played indoor club volleyball. But at that point, I wasn’t taking it too seriously – I just enjoyed the sport. How was your experience playing indoor club? Deviny: Club volleyball was a student run organization. I ended up sort of running the program, setting up tournaments and getting involved with the logistics. It was SUCH a great experience. At what point did you transition to beach? Deviny: It was a natural transition. During the summers of my college career, my friends and I would set up pickup grass volleyball games in Green Lake. It was mostly just a hobby, but ended up being what I did with most of my free time. I just wanted to keep learning and expanding. My first job was at a sand volleyball center in Bellevue. I think one year into working there, I decided I wanted to take it more seriously. So from there you decided to try playing professionally? Deviny: Yes. Well, while the beach volleyball community in Seattle is super committed, it is rather small. So I packed up and moved down to Hermosa Beach, CA to start training. That was where I discovered the NVL. With that said, the scene here in Seattle is growing SO fast and it is incredibly exciting to watch. And now with the sand volleyball team taking off at UW, this can only mean good things for the growth of the sport. Was your family supportive of this decision? Deviny: Well, my family is immigrant. They moved from Hong Kong as kids. Volleyball wasn’t something they were accustomed to. Of course during my middle school and high school years they were very supportive and they came to all of my games. But when I told them I was moving to Hermosa to pursue my dreams of playing beach volleyball professionally, they were certainly worried. I think their response was, “SO YOU’RE MOVING TO HERMOSA TO BECOME A BEACH BUM? !” haha. There was definitely an emphasis on the “beach bum” part. But over time, they learned that this is an important dream of mine and that it has helped to mold who I am today. Plus, I come back to Seattle a lot to see my grandparents and parents – for weddings and the Chinese New Year and other events. Will they be coming to the Seattle tournament this weekend to watch you play? Deviny: Yes and hopefully they’ll bring my new dog too, and my cousins will tag along. Deviny: It’s a French Bull Dog named Brioche!!! Let’s talk about Seattle. Does the weather affect your game? Deviny: Yes, definitely. Some might argue that it makes you a stronger player, since you are forced to endure crazy rain conditions. You need to be a versatile athlete because you can only play beach like four months out of the year. And even in the summer, you never know. You need to dress for anything – swimsuit, tights, layers and then you just figure it out as you go. 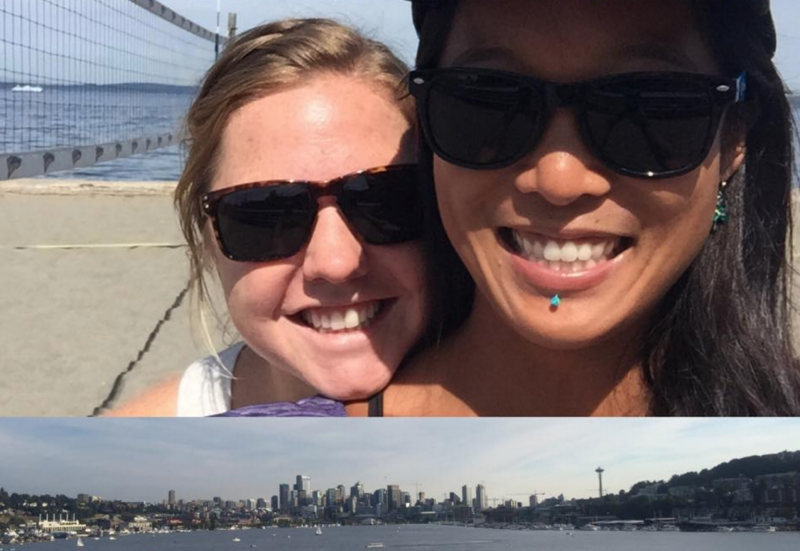 What do you miss most about living in Seattle? Deviny: I miss the air – haha. The air is so much nicer here. Sometimes the cloudy days were tough and would give me the winter blues. But there are so many activities here that I loved. 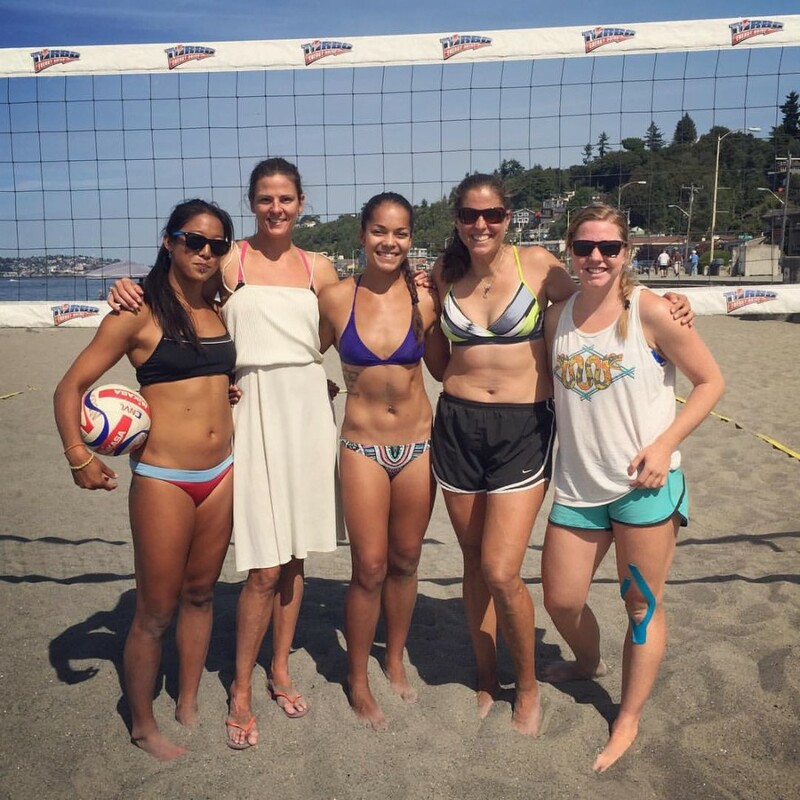 What are a few lessons you’ve learned from your beach volleyball partner Casey Ritt? Deviny: She has a really positive outlook on the game. She is incredibly optimistic. When we are down, she doesn’t let it get to her and just works right through it with intensity and confidence. What have you taught her? Deviny: Because I’m a rookie player, I look for tendencies in the other team and I play to our advantage. I don’t have as much experience so I make up for it by putting myself in the best position. I communicate well in order to find open court and I try to identifiy tendencies early on in the game. Which athletic obstacles have you overcome? Deviny: Convincing my immigrant family that there was a future for me in the sport was a major obstacle. But otherwise, because of my late start, I don’t have some of the fundamental knowledge, such as scheduling and how to eat properly. I’ve been learning these things in the last two years. I feel like I am definitely making mistakes along the way – overdoing it and under-doing it – but I learn every day. 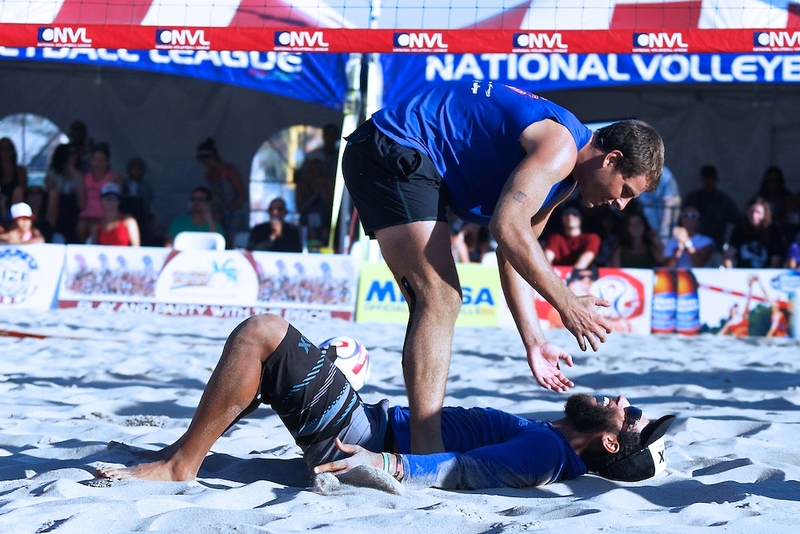 How has your experience been playing for the NVL? Deviny: Playing for the NVL has been life changing. They treat the players so well and they make you feel important. It is such a fun pro tour. Good vibes, great DJ and MC. It’s the entire social atmosphere. Everyone is incredibly supportive of each other. It doesn’t feel so Wimbledon to me. Just a day at the beach and some healthy competition.